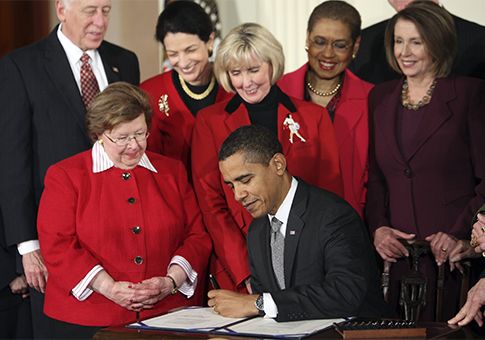 In honor of President Barack Obama’s "disgraceful" display of sexism yesterday, the Washington Free Beacon has complied a list of the top moments in the president’s ongoing war on women. 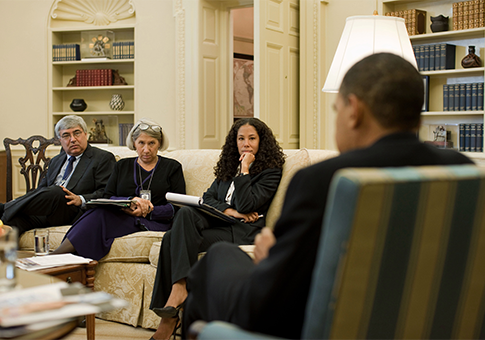 The White House released an official picture on its Flickr account in January that depicted the president with his top advisers in the Oval Office. 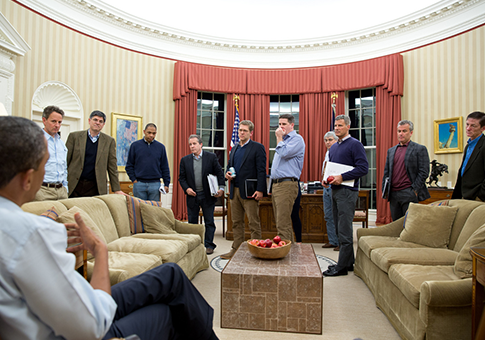 The picture included eleven men, including Obama, and Valerie Jarrett’s leg. One of the president’s fiercest defenders, former White House communications director Anita Dunn, said "this place would be in court for a hostile workplace. … Because it actually fit all of the classic legal requirements for a genuinely hostile workplace to women." 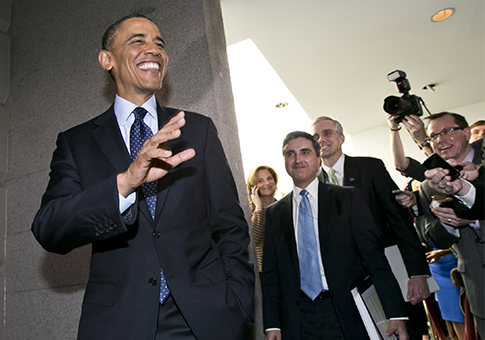 Women working in Obama’s White House earn significantly less than men. On average, woman are paid about 18 percent less than their male colleagues. 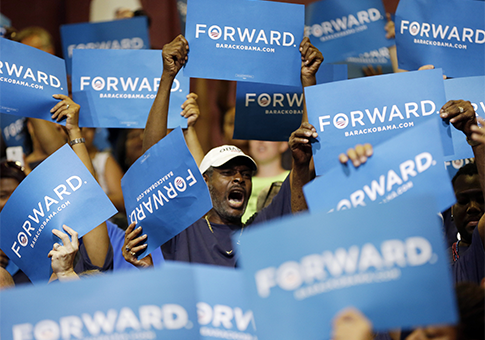 Obama For America paid its male employees an average of 5.3 percent more than its female employees. Obama loves to play golf, just not with women. 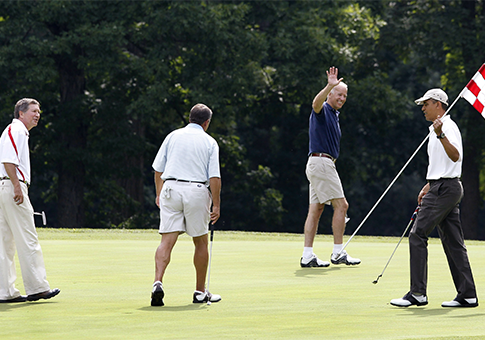 Obama’s first 23 rounds of golf as president did not include a single female. It is unclear if the president enjoys watching LPGA events. 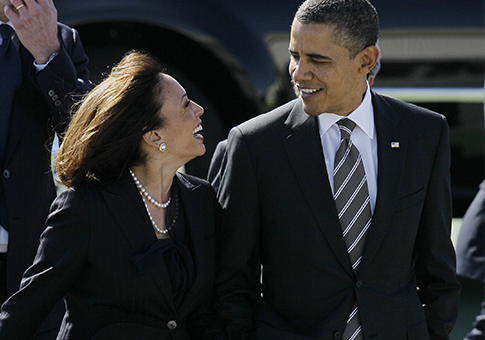 While praising California Attorney General Kamala Harris, Obama decided to focus the attractiveness of the state’s top cop. During a fundraiser, Obama said "she also happens to be, by far, the best looking attorney general." 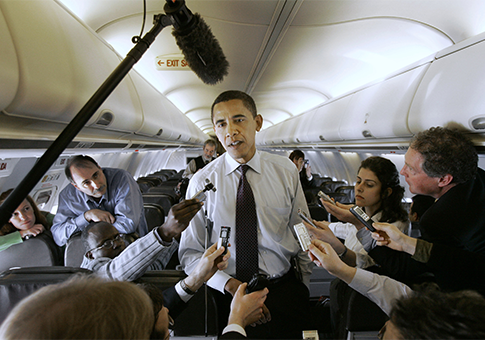 Obama referred to a female reporter as "sweetie" as he brushed off her question during the 2008 campaign. This entry was posted in National Security and tagged Anita Dunn, Barack Obama, Obama Administration, White House. Bookmark the permalink.